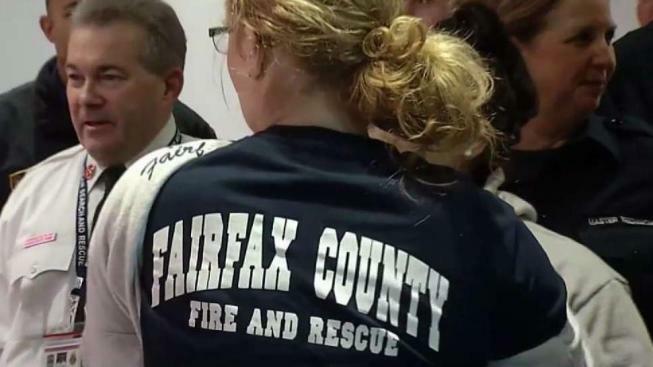 While releasing a report rejecting claims of widespread discrimination, harassment and retaliation against women reporting issues in the Fairfax Fire and Rescue department, the county executive promised a fresh start for both male and female firefighters. “What I’m trying to do here in Fairfax County is ensure this is a culture that we — we — change,” County Executive Bryan Hill said. The department first made a move to improve treatment of women about two years ago, after firefighter Nicole Mittendorf killed herself and lewd comments about her, allegedly written by men in the department, were found on a blog. The women’s programs were launched in the wake of Mittendorf’s death — but in a resignation letter, the program’s leader said the culture prevented her from being effective. 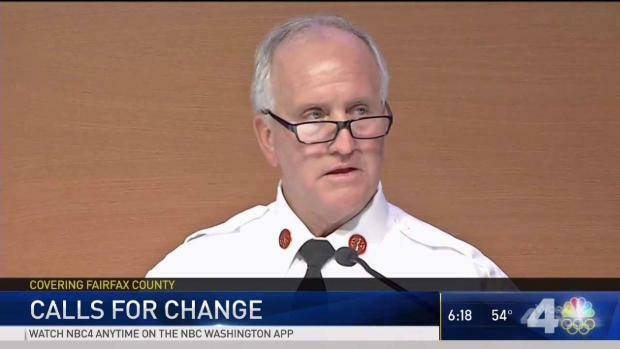 Amid reports of harassment, bullying and retaliation within the Fairfax County Fire and Rescue Department, Fire Chief Richard R. Bowers Jr. refused to step down and denied any problem. "There is not a major cultural issue in our department," he said. News4's Darcy Spencer reports. Battalion Chief Kathleen Stanley resigned as the Women’s Programs Officer in January via a scathing letter, saying the department had a “toxic” and “negative” environment. The fire chief refused to step down, but announced his retirement about two weeks later. In response to the letter, the county executive's office launched an investigation to ensure that complaints were handled properly. The resulting report, released Tuesday, dug into allegations Stanley levied in her resignation letter, including that leaders tolerated harassment and retaliated against women who reported it. “Every allegation has been taken seriously,” Hill said. Most complaints were handled properly, the report said, but leadership has failed both men and women in the department. The report also said 90 percent of women in the department interviewed said they hadn’t been mistreated harassed or denied training due to their gender in recent years. Hill promised the firefighters a fresh start, and some women agree that it’s time to move forward. “I think we definitely just need to move forward. We need to stop looking at things in the past,” Alisha Reakoff, a fire and rescue technician, told News4. Jennifer Hiner, a fire and rescue technician, said her recent complaint was handled swiftly: the assistant chief called her soon after she reported her issue and asked what he could do to help. Battalion Chief Cheri Zosh said rules and talk aren’t enough to change the firehouse culture. Certainly, one big change is coming soon: a new fire chief will be chosen by June.